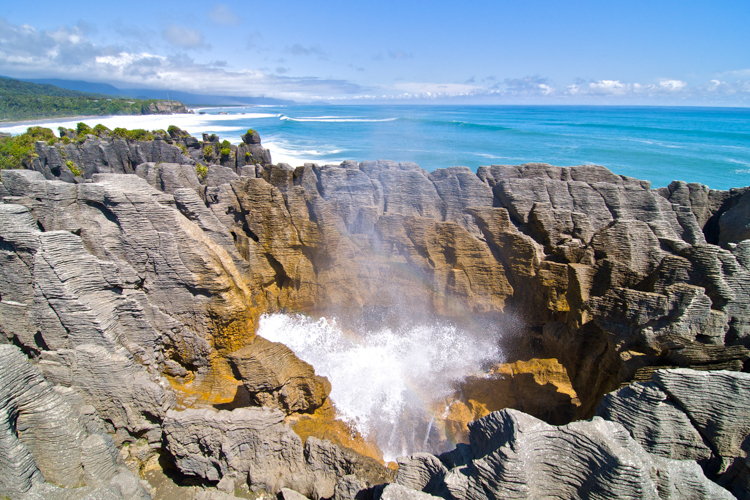 Hokitika Scenic Tours provide a personal small group guided tour in the heart of the South Island’s West Coast. 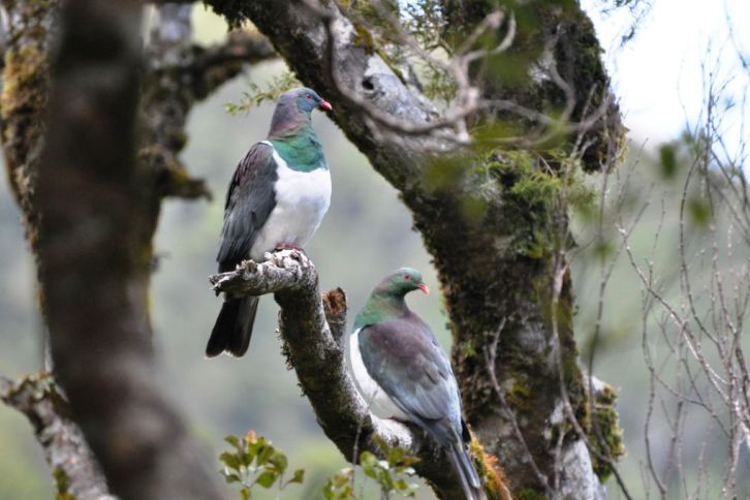 This tour gives visitors the opportunity to experience the stunning scenery and attractions that lie between the Tasman Sea and the dramatic Southern Alps. 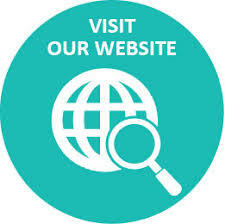 We invite you to discover our local hidden treasures where time stands still in all it’s natural glory. 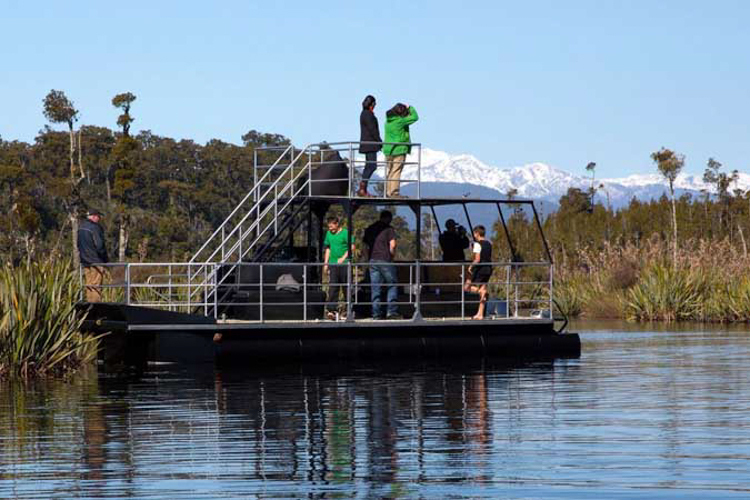 Giving you the opportunity to view the magnificent scenery & attractions that lie between the Tasman Sea and Southern Alps. 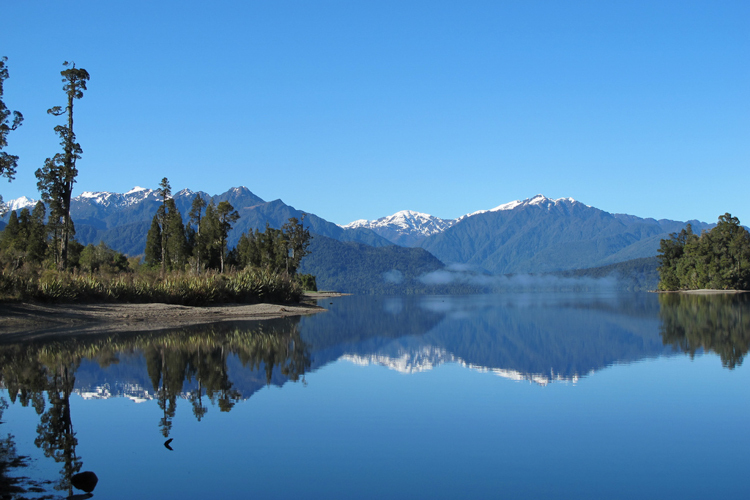 Right here, in the heart of the West Coast, South Island, NZ. 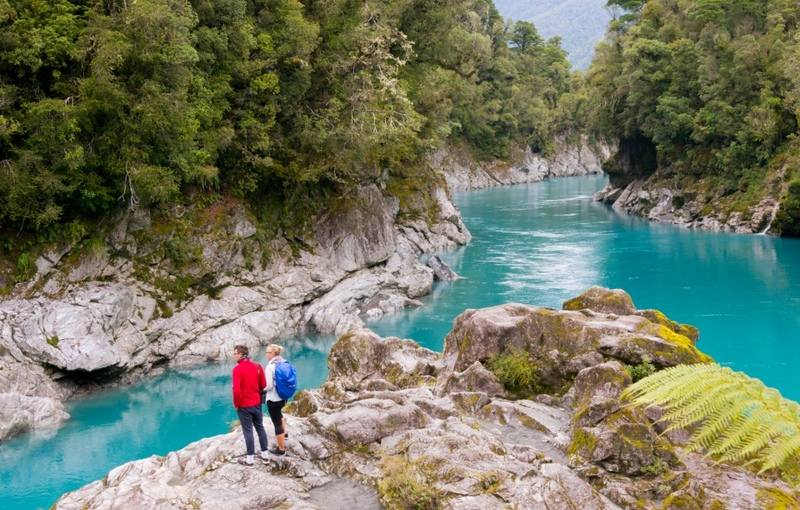 * The blue green waters of granite rock sided Hokitika Gorge. 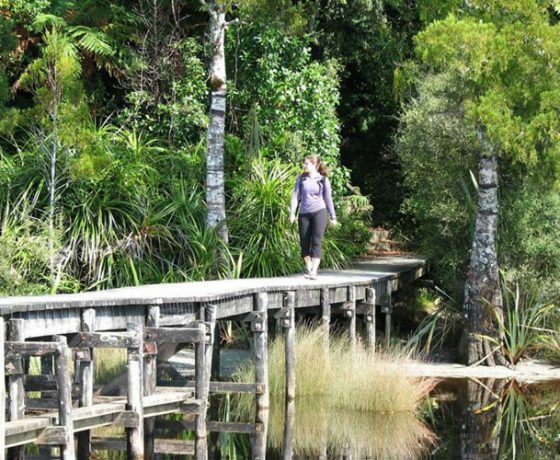 * Walking among the native trees and bird life via treetop canopy at West Coast Treetop Walkway & Cafe. 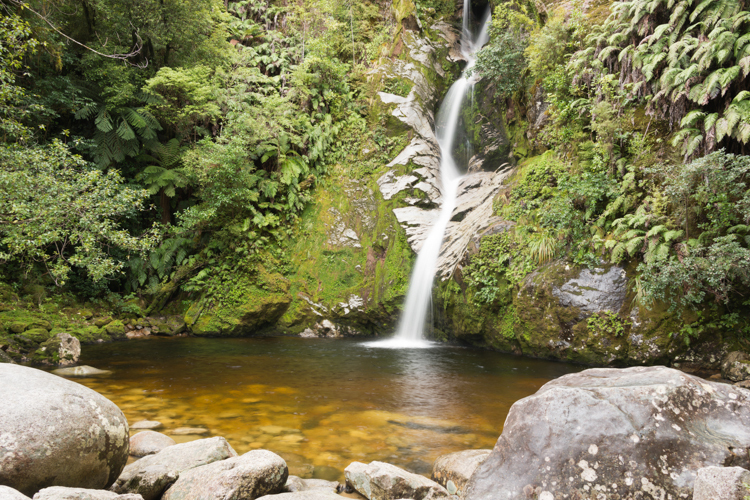 * Capture Dorothy Falls and tranquil Lake Kaniere – mirrored by snow capped mountains & native rainforest. 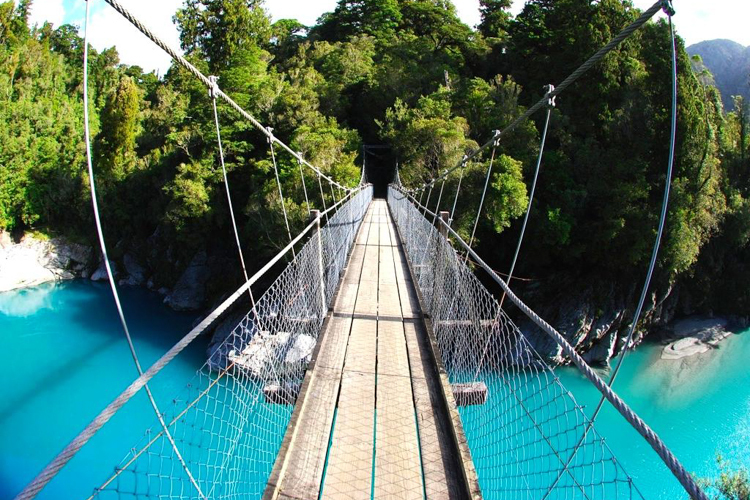 Hokitika Scenic Tours – Hokitika Gorge & Lake Kaniere Tour. 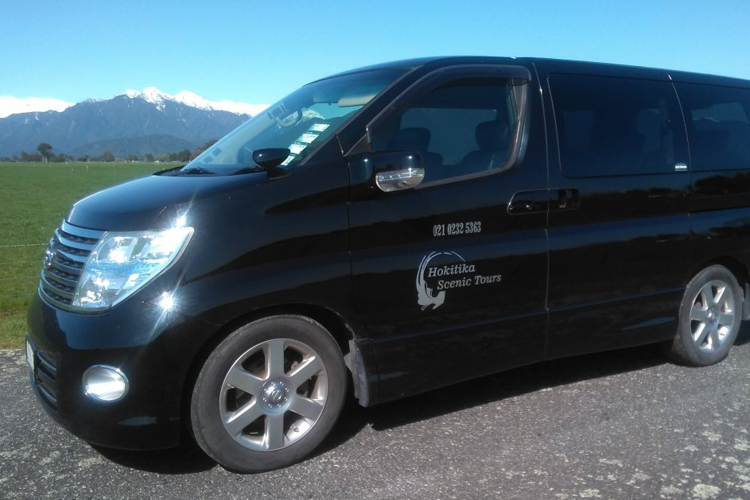 Departs: Departure times on request with pick up within Hokitika area. 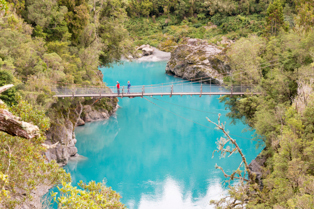 The short walk in descends through podacarp/hardwood forest, where you observe from a swingbridge the magnificent blue-green waters of the Hokitika River as it makes it’s way through the granite rock-sided Hokitika Gorge that is surrounded by native bush. 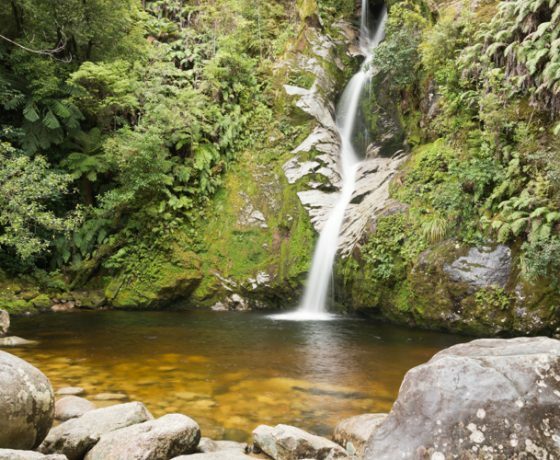 Travel through the lush dairy farmlands of Kokatahi / Kowhitirangi Valley as we make our way to Lake Kaniere through secluded rainforest stopping at spectacular Dorothy Falls. 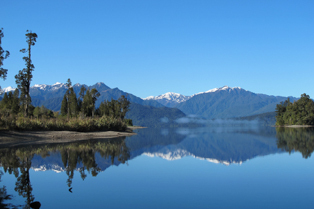 This tranquil lake with it’s mirrored reflections is surrounded by snow capped mountains and native forest….breathtaking scenery. Don’t forget your camera! 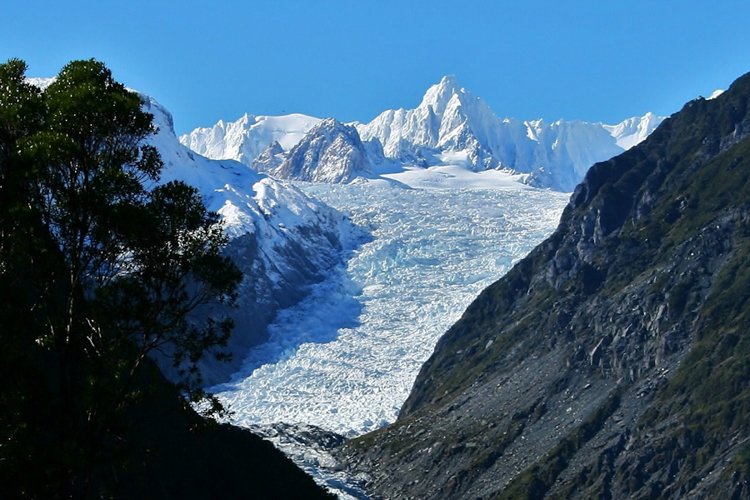 Hokitika Scenic Tours – Hokitika Gorge Tour. 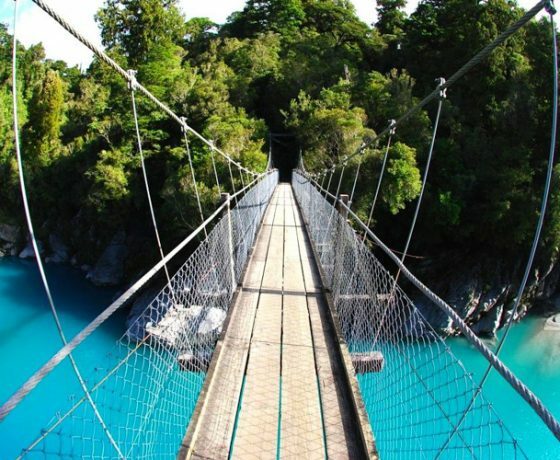 The short walk in descends through podacarp/hardwood forest, where you observe from a swingbridge the magnificent blue-green waters of the Hokitika River as it makes it’s way through the granite rock-sided Hokitika Gorge that is surrounded by native bush. 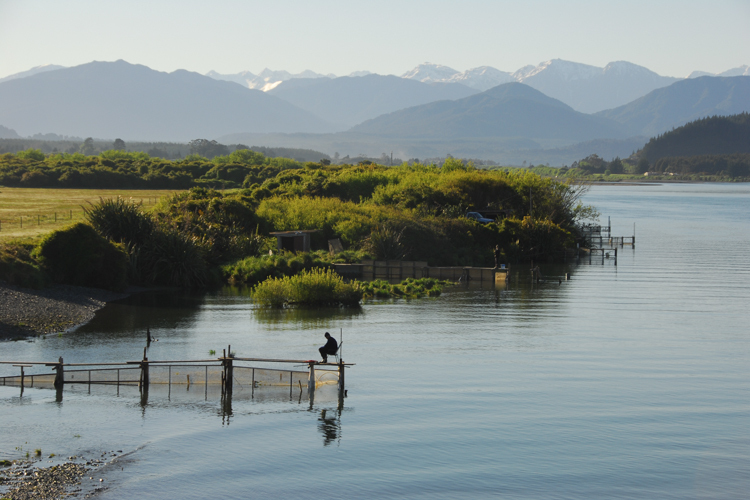 The Hokitika river is about 64 kilometers long, beginning high in the Southern Alps and flows all the way into the Tasman Sea next to the township of Hokitika. N.B. 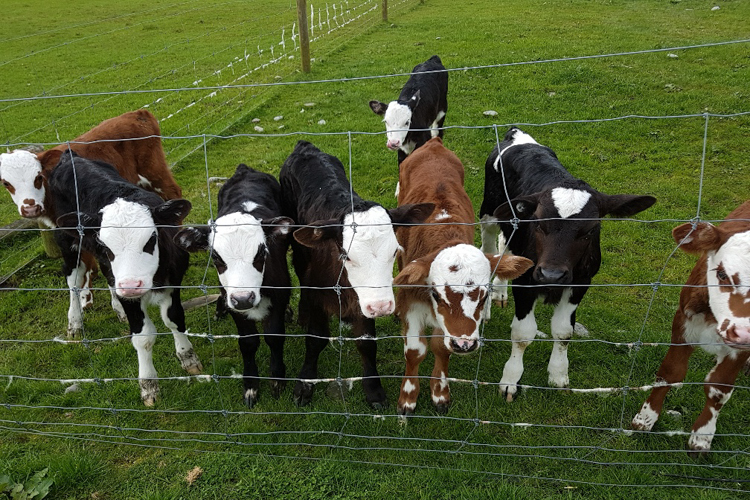 An extra unique event can now be added to your Hokitika Gorge tour if requested and that is to visit an authentic NZ Eco working farm. 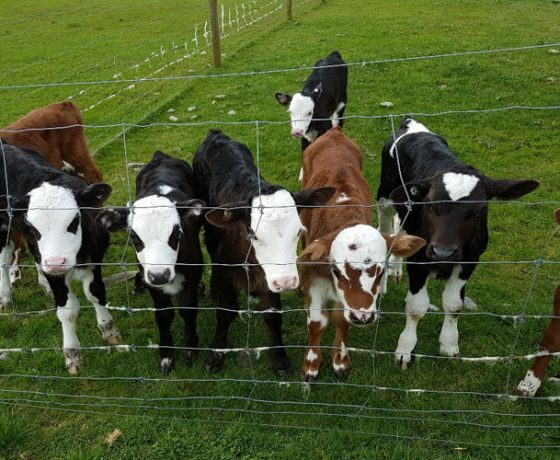 Meet, greet, feed and photograph the eclectic group of cute animals. 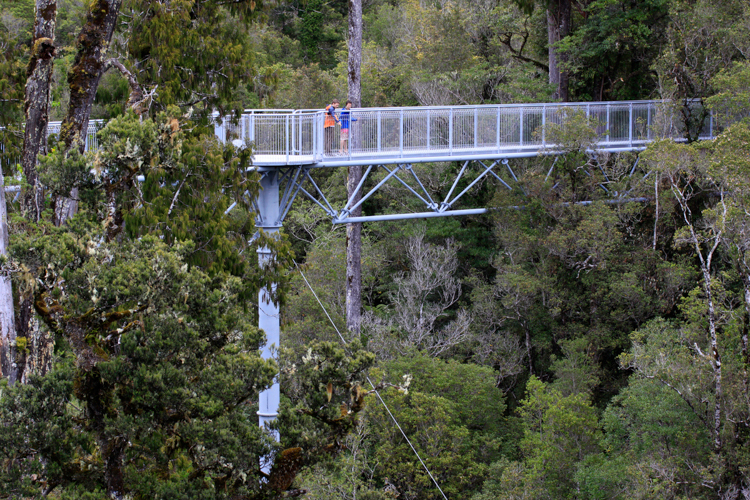 Hokitika Scenic Tours – West Coast Treetop Walkway Tour. Price: Minimum two persons @ $59 pp – Children $44 pp. 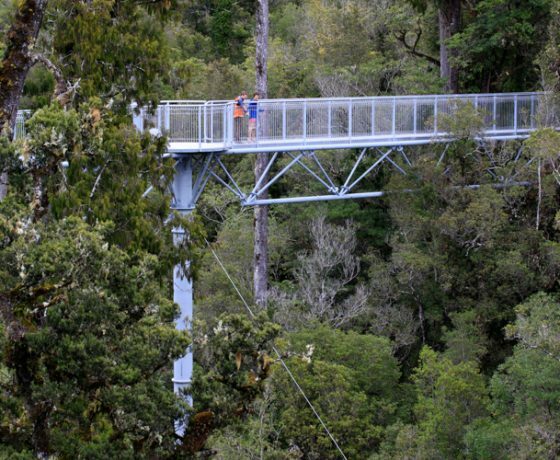 Entry fee to Treetop Walkway included. 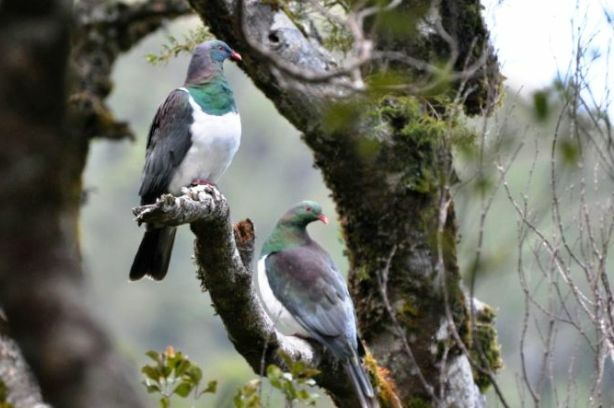 An exhilarating treetop adventure that is a unique experience to see the beautiful West Coast rain forests from above, a leisurely 45 minute stroll on an easy access for all to enjoy, walking along a steel platform 20 metres high and over 450 metres long, experiencing life with the birds high in the ancient Rimu and Kamahi tree canopy. 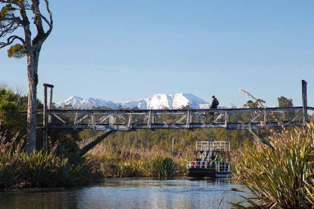 For the adventurous feel your heart pump and the adrenalin rush as you climb to the top of Hokitika Tower 40 metres above the forest floor, your reward is a sensational vista of the majestic snow capped Southern Alps, Lake Mahinupua and the Tasman Sea. Please ensure all children are accompanied and supervised by an adult. Please wear responsible footwear. 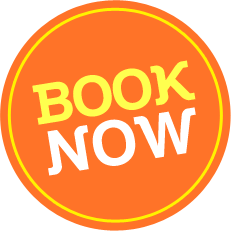 Price: Minimum four persons @ $95 pp – Children $70 pp. 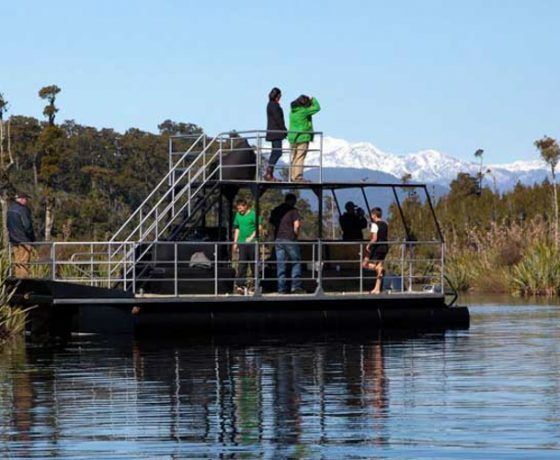 Travel through lush dairy farmlands with stunning views of the Southern Alps to the magical blue-green waters of rock sided Hokitika Gorge then be connected to step aboard the Eco Adventurer with West Coast Scenic Waterways and capture the picturesque beauty of Mahinapua waterways along the original route by pioneers, gold diggers and explorers. 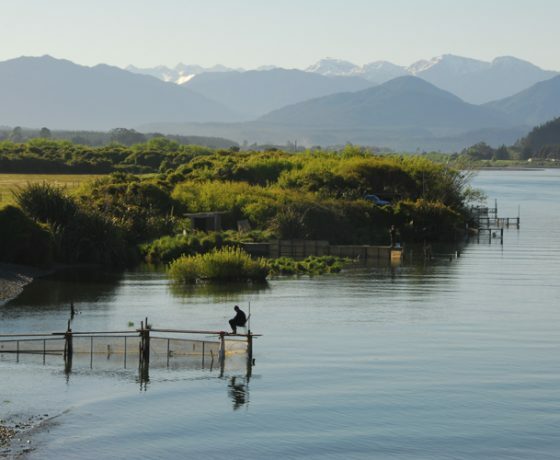 Magestic views of Mt Cook and Lake Mahinapua amongst West Coast wetlands, flora and fauna. 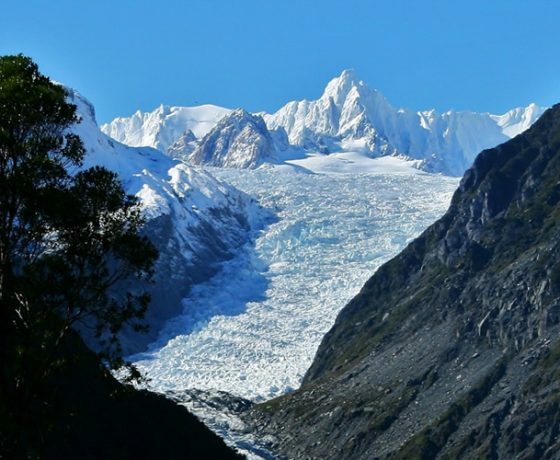 A unique and unforgettable experience – Travelling south from Hokitika through native forests with stunning views of mountains and lakes we arrive at either glacier. 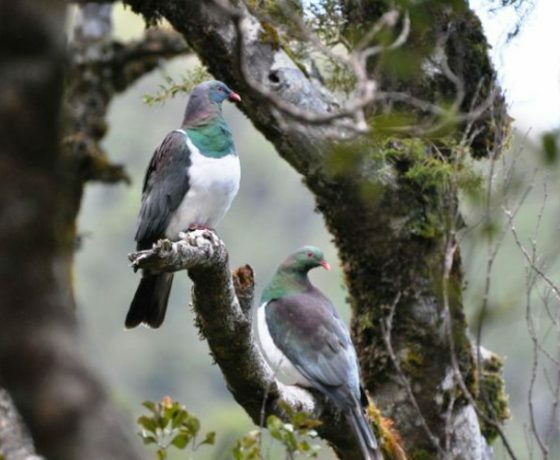 From there choose the most attractive and accessible forest walking track that suits – 30 minutes return or up to 90 minutes return these take you to Glacier viewing platforms. 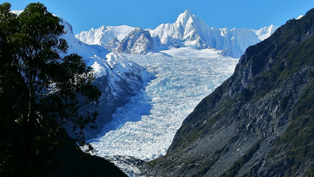 Or you may wish to book a helicopter flight which could take in both glaciers plus a snow landing and an amazing up close view of Mt Cook. Once in a lifetime! 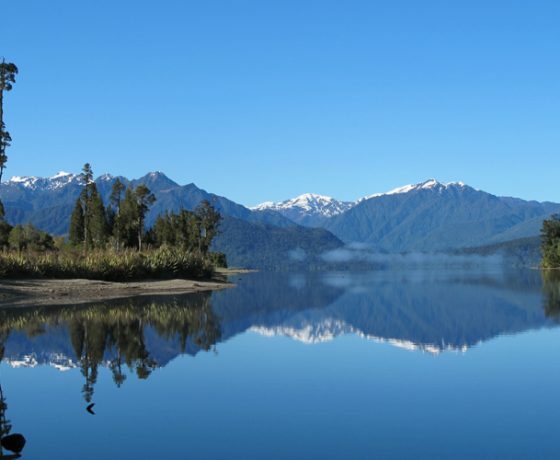 All of this and return to Hokitika the same day. 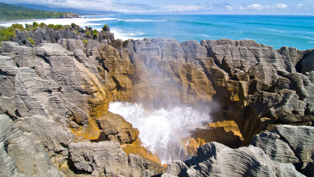 Return journey from Hokitika along the Coast Road to a limestone landscape of pancake shaped rock formations, blowholes and surge pools that are especially spectacular at high tide in a wild Tasman Sea. 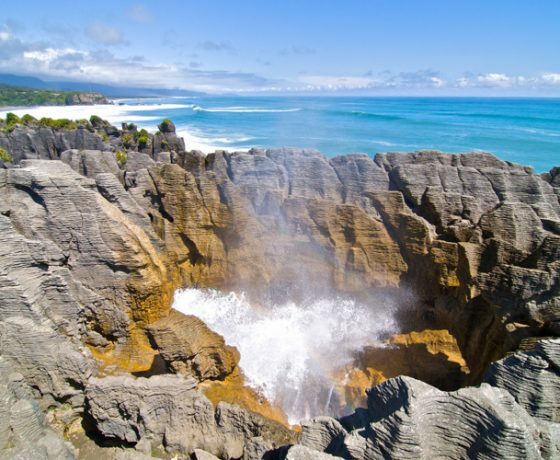 The famous PANCAKE ROCKS! 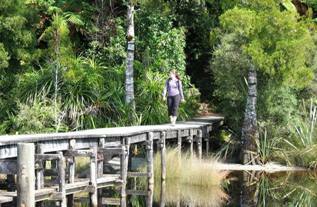 Transport to West Coast Walking Tracks. Let us transport you to any of the beautiful walkways or tramping tracks within our local area…..from easy to advanced fitness there is something for all. Pick-up and drop-off on request. 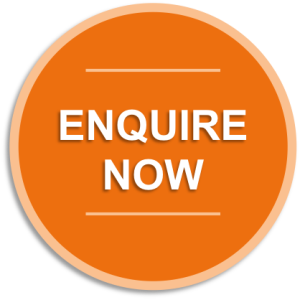 Pick up and drop off within the Hokitika area. 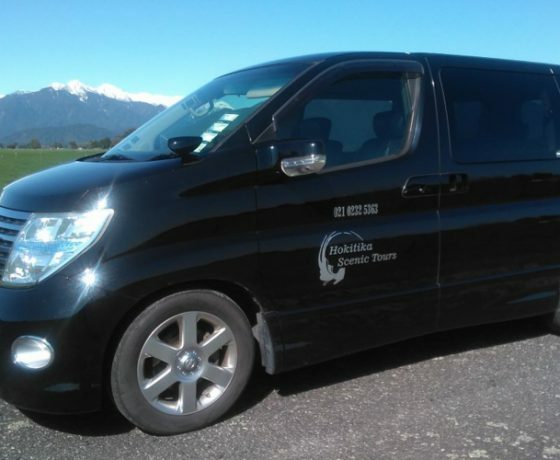 – Pickup from Greymouth Railway Station by arrangement.